I have this Recycled Silk Shoulder Bag and I love it so much! 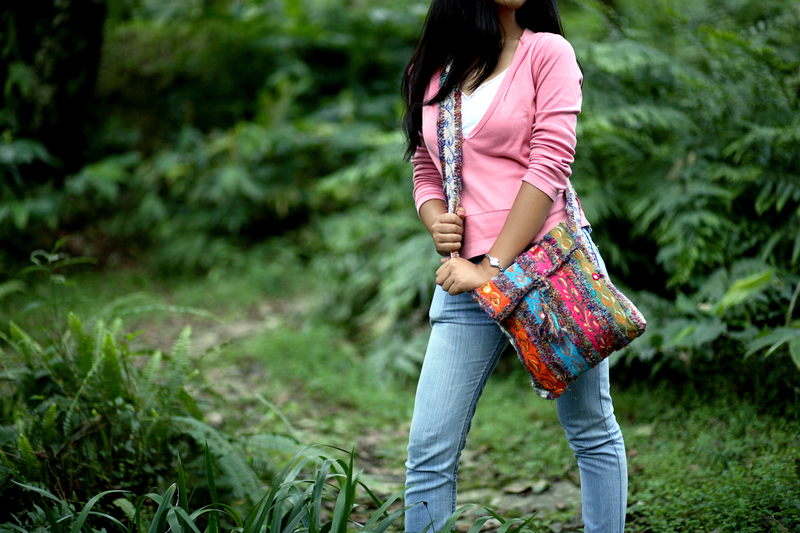 I love it because it’s so unique; these bags are made by our artisans out of recycled saris, so each one looks a bit different. This bag would make a great green gift for a woman in your life (or, even for yourself!). 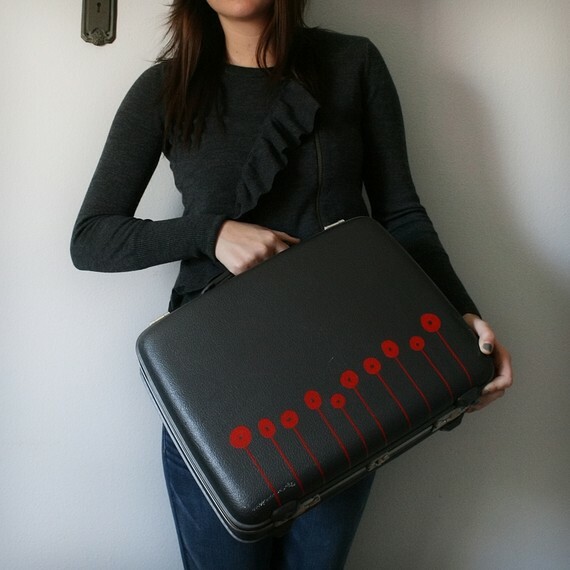 I love these suitcases by GetReadySetGo! This artist takes awesome old suitcases and makes them even awesomer by adding funky and colorful screen printed designs to the front. If you have a friend or loved one who is addicted to travel, this would make a very cool, eco friendly gift. 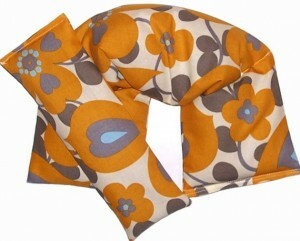 Yes, I lovelovelove this handmade hot/cold wrap by HomeGrownPillows. Each pillow can be wrapped lovingly around your neck, or placed on sore muscles. You can heat them in the microwave, or freeze them. And the best part? They’re made with eco friendly flaxseed and lavender. Yay! Plus, it’s hard to be the $14.95 price tag (I’ve seen these for double that in other places). We had our artisans make up some fun fair trade holiday ornaments this year. And I love how it turned out! This would be a unique gift to a couple just starting out (who may have little or no ornaments for their tree). Or, it would make a great gift for anyone who loves to decorate their Christmas tree. Each package comes with four handmade, fair trade ornaments and 8 feet of wool garland. My inner Derby Girl wants one of these so bad! 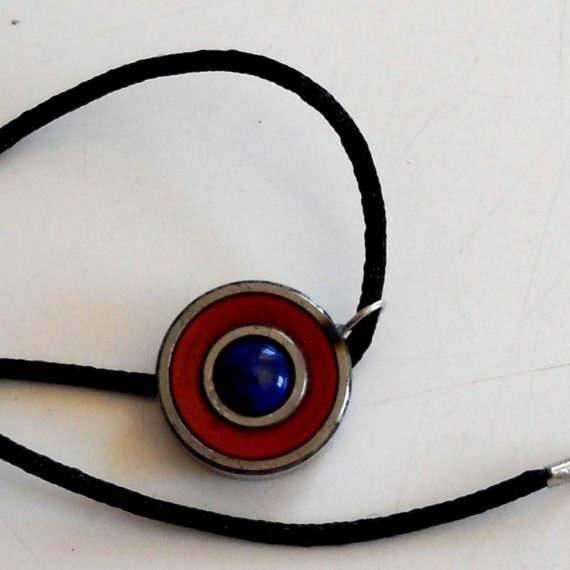 The artist with CausticThreads took old roller skate bearings and turned them into super cool necklaces. It’s upcycling at its best. I’ll keep posting about some of my favorite eco friendly and fair trade holiday gifts, so stay tuned!